Hello, all! 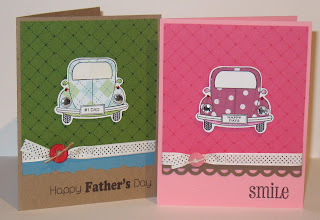 This is my entry for the My Pink Stamper Father's Day Challenge. Hope you all enjoy it! 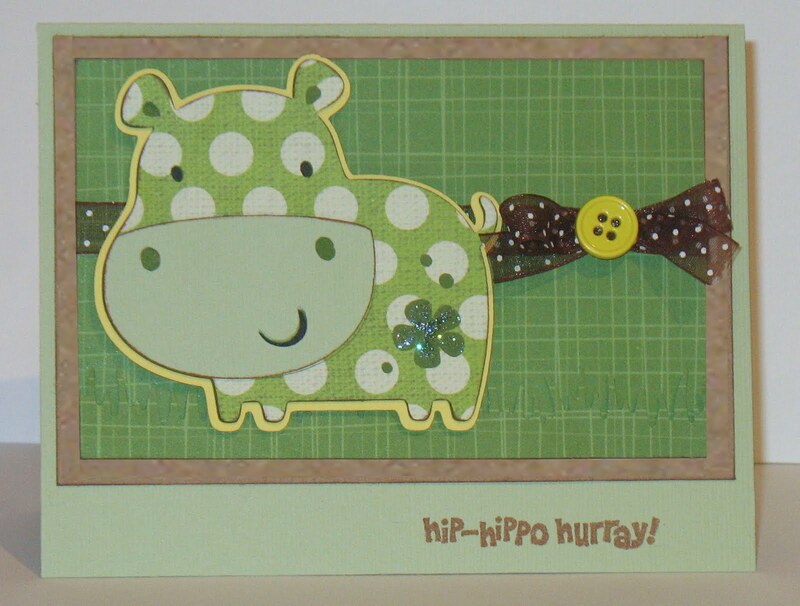 Here is another sample card made with our new Amusing Animals Stamps. 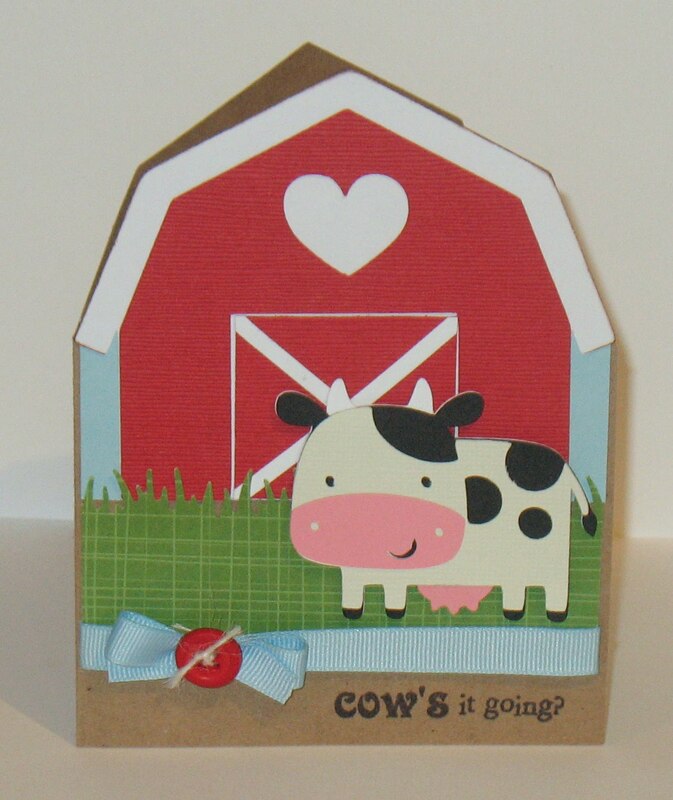 I created the shape of the card by welding the barn base (CAC) with a rectangle from GBS. I just think this little cow is sooo cute! Thanks for looking! Have a safe and happy Memorial Day! 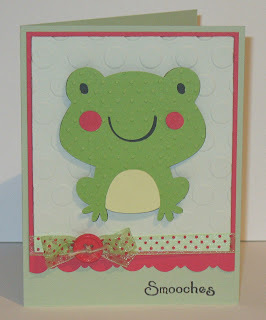 Another stamp sample card - Cute Froggie! Hello, all! This took me a little longer than I thought it would. My nephew gradutated from HS tonight - oh, were does the time go?!?! 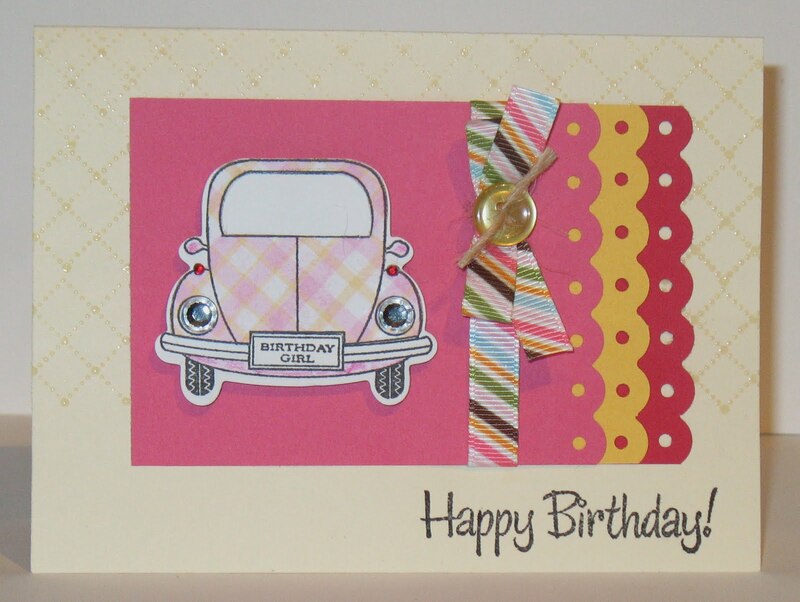 I had started creating this card this morning and then visited Canadian Nickel Scrap'n. 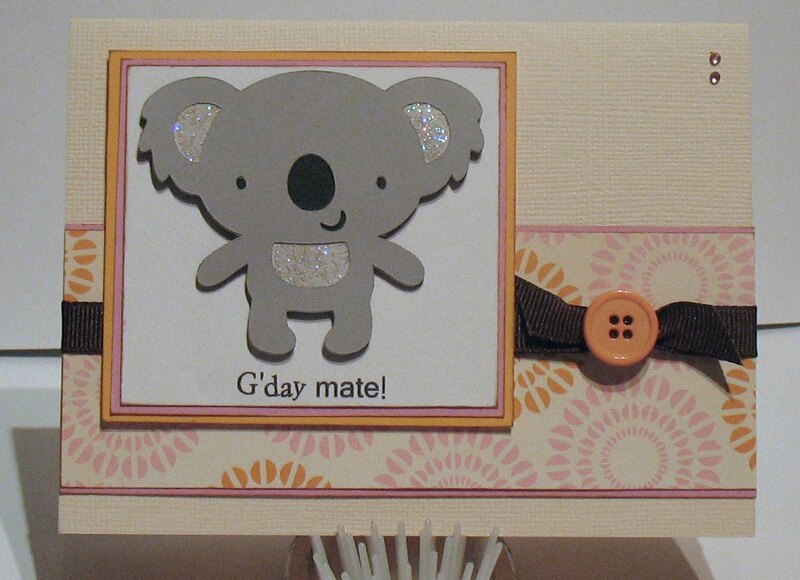 She was making a card for a card drive/donation that she saw on Desguised as a Grown-up. 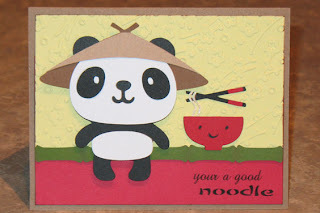 (Who was in A Few Good Men with Kevin Bacon - LOL) All kidding aside - fellow blogger Lisa from By Lisa C is sponsoring this drive for her sister, Jayme, who has terminal cancer. 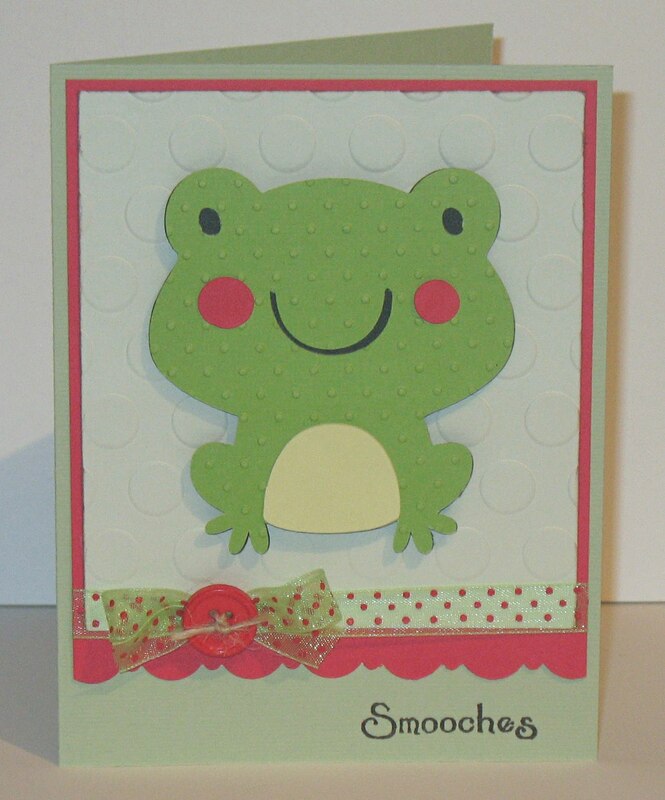 She is requesting cards with frogs because Jayme loves them so much. I know at that moment that this little guy had a new home as soon as I could get him done! I hope that Jayme will enjoy him as much as I did making him. If you would like to participate in the drive click on the "By Lisa C" link above. 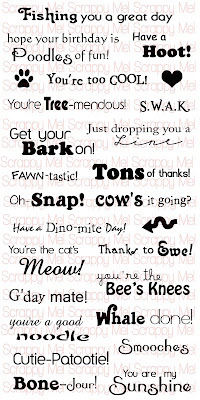 The stamps is from Scrappy Moms Stamps Amusing Animals stamp set. Here it is.... The 1st set of stamps! I am trying to get at least one more sample done today - I will post it when it's done. 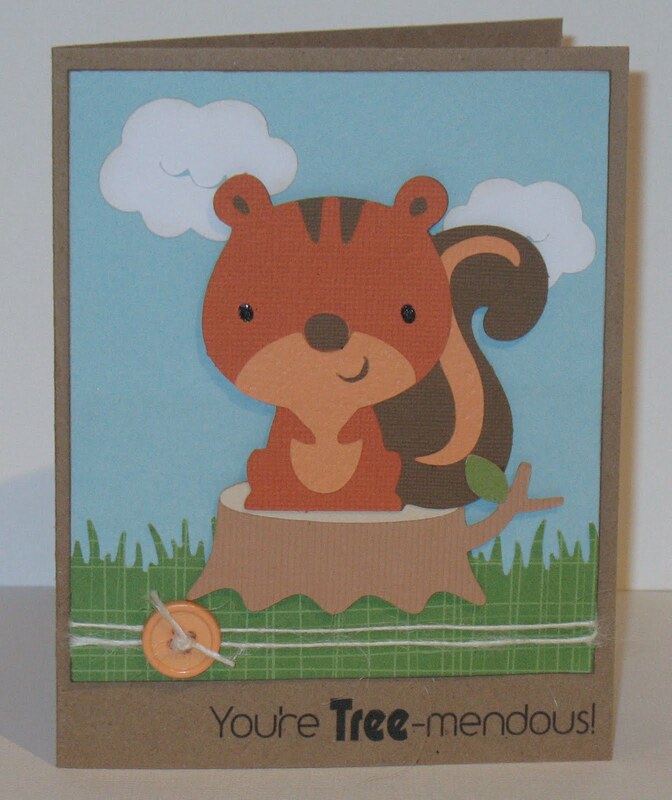 Tammy is also making some samples to show you, so keep checking her blog - Scrappy Critters. I'm so excited - we love how they turned out. 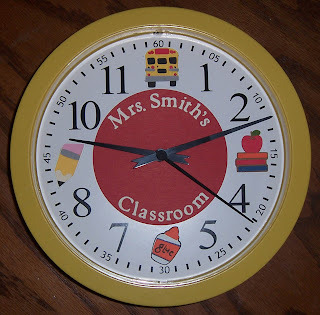 When we come up with the final calculations for the price and how we will take orders I will do a post with all the info. Well, I started doing research on how to make your own stamps and realized the the machinery that you can buy is a little pricey and VERY time-consuming. 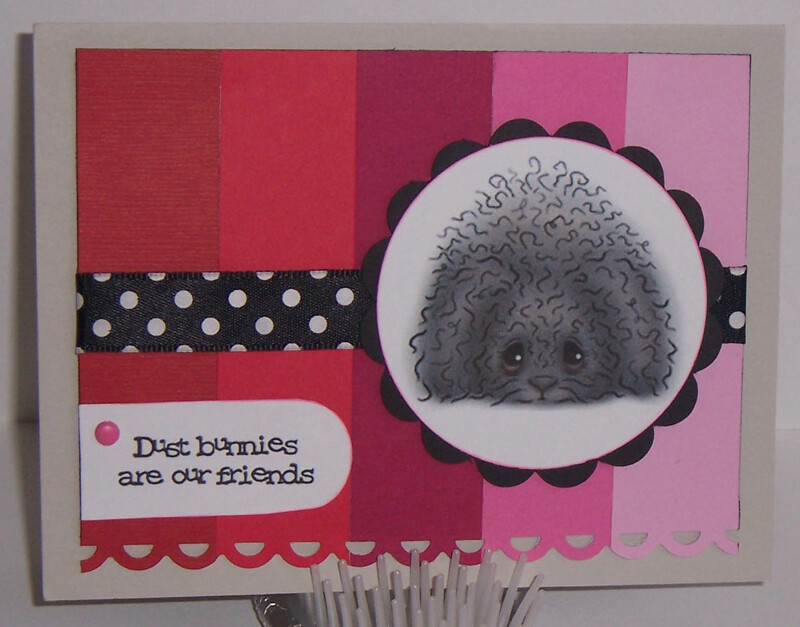 So for the time being I decided that I would keep designing the stamps and save up to look for other options. 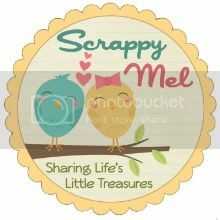 Well, a month goes by and I am talking to my husband and expressing how disappointed I am that I haven't been able to start this little venture. We did some research and found a great company that is affordable and I went ahead and sent them the batch to start processing. 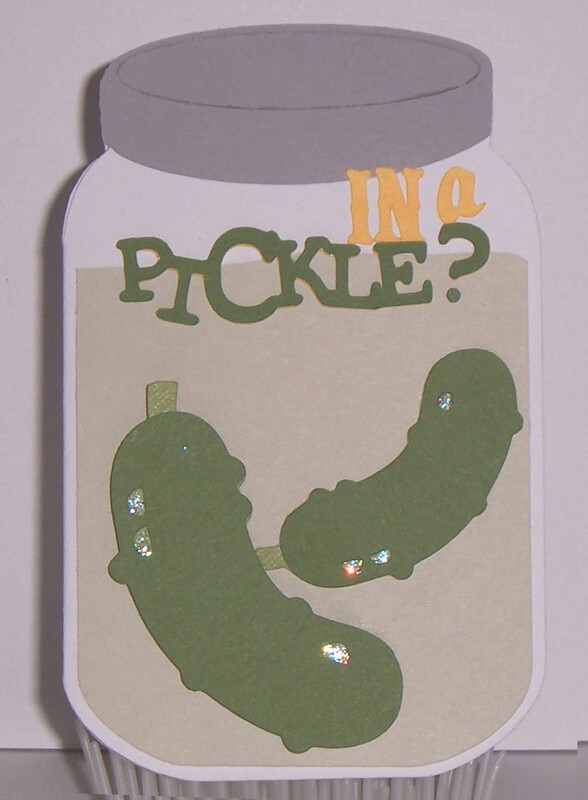 Now, here's my question... If the set had stamps that you didn't already have and you liked them would you be interested in purchasing them? 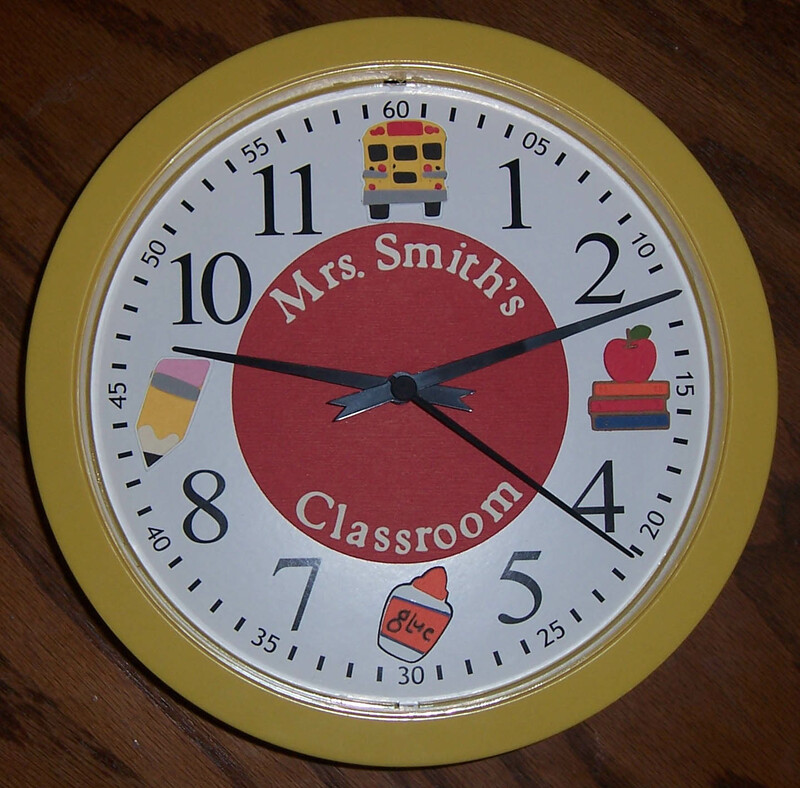 They are clear photo polymer material, guaranteed not to yellow and they are made here in the USA. The set I have designed has the sentiments above plus 18 other phrases and three icons. If you are interesting in them I can post the image and set up to sell them either here or on Etsy. 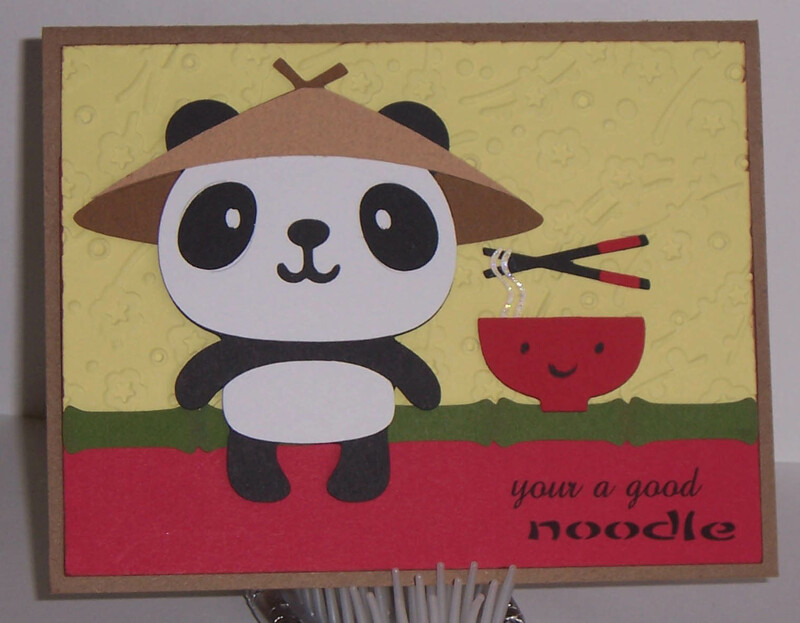 Otherwise, I will just try to sell them locally. 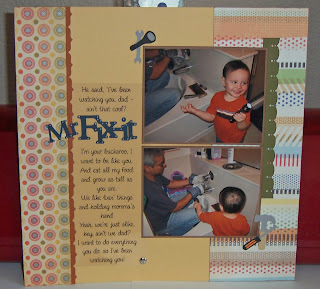 I am also working on a 2nd set if this one is well accepted. 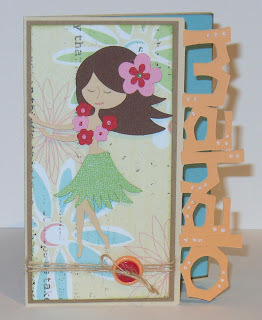 Life's a Beach "Mahalo" card. The girl was cut a 4" and the "Mahalo" was done on the design studio at about 1.2". Oh, for those of you wanting to try to make a word border like this card - you need to type your word in backwards and then flip it. For example, I typed "olaham", then flipped it and turned it sideways to weld it. The front of the card on the side of the paper that is touching the mat so put your paper on "upside down". Create-a-Critter Squirrel Card - so cute! 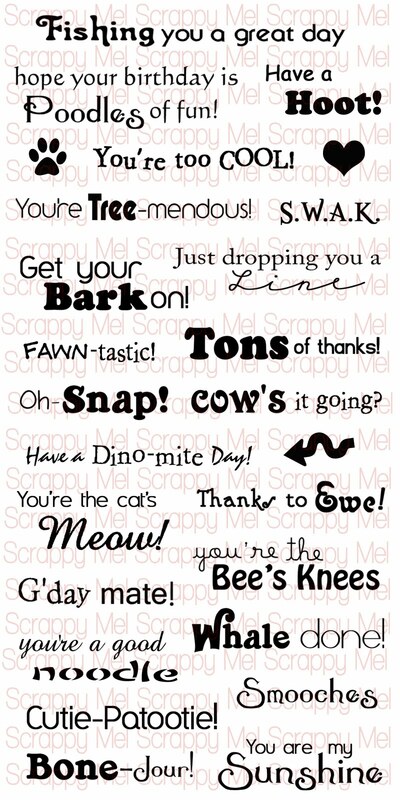 The sentiment is from Scrappy Moms Stamps Amusing Animals stamp set. Hope you enjoyed him! Thanks for visiting! NO - it can't be true!!! 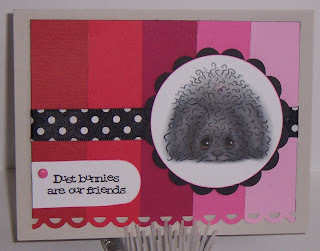 This is not a crafting post - it's a PANIC post!! I just found out that my 20 year high school reunion is in September - aaahhhh. (Deep breath) Ok, now I have only 4 months to lose 20 pound - is it do-able? Oh, I know that 5 pounds a month is a safe and reasonable goal but IS IT DO-ABLE FOR ME?!?! Does anyone have any Pepsi-sparing tips? HELP! This is my entry for the My Pink Stamper Green,Yellow & Brown Challenge - I haven't yet used this cute little hippo from CAC for a card and just got this sentiment at Michael's so I though they would be perfect. We stamped the outline on white paper, then used the solid stamp to put color on the bumper and side mirrors. 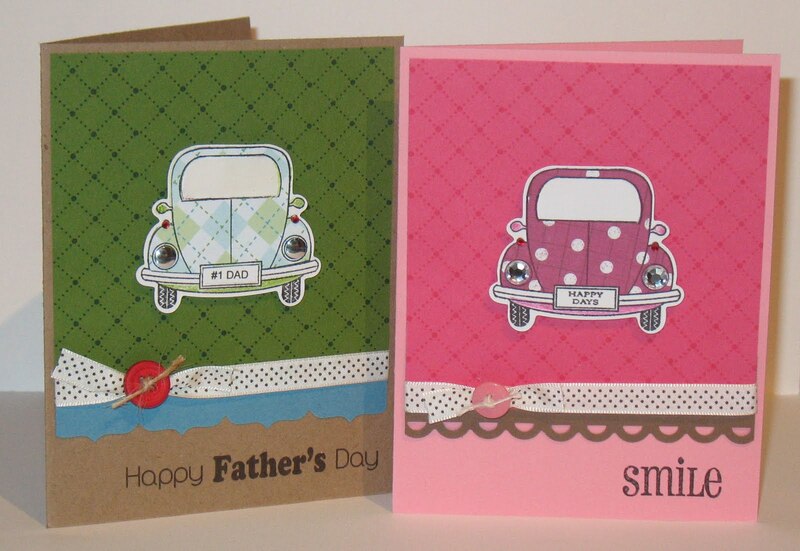 Then we stamped the outline again on patterned paper, cut it out and glued it on the white copy. 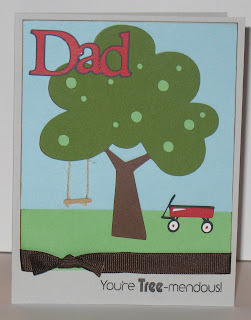 On the Father's day card I printed "#1 DAD" on my computer in Ariel at 9 pt. 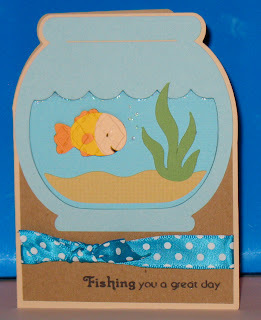 I used Diamond glaze on the window of this card but decided to skip it on the others as I didn't think it made much of a difference. 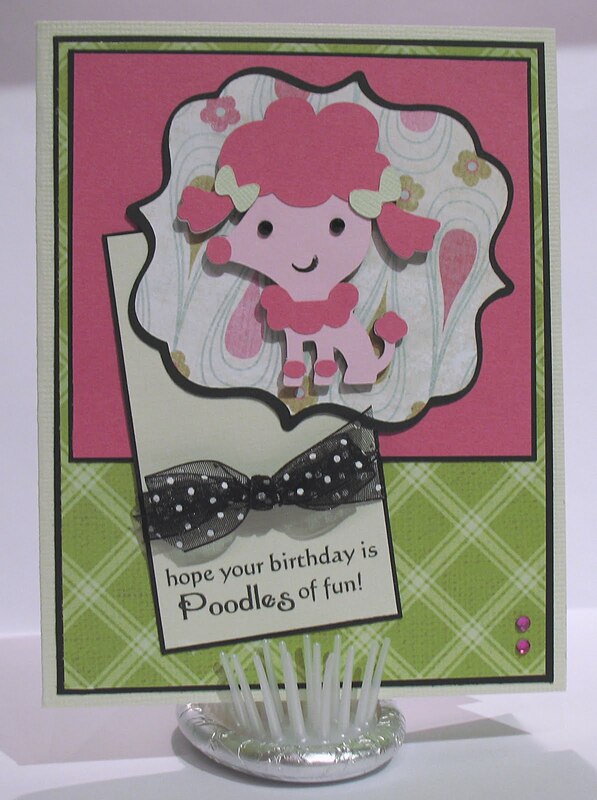 I saw this card over at Lea's Cupcakes and Sunshine and just had to make it! 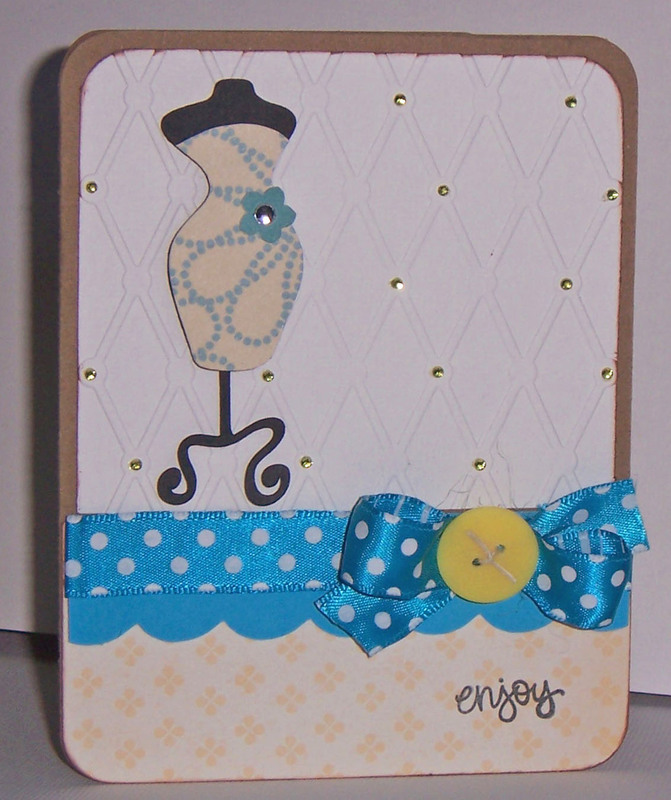 There are a few changes - I used the Diamonds and Dots embossing folder by Quickutz, the dressmaker's form from Forever Young and mini (and I do mean mini) yellow jems instead of pearls. Still I wanted to give credit where credit is due - my hat's off to you Lea, for a great design! 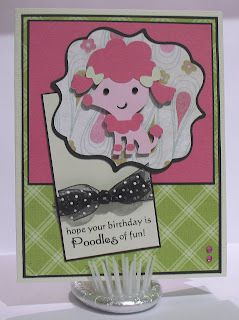 Here are two more completed challenges for My Pink Stamper's NSD Challenge! Challenge #8 is to make a mono-chromatic project. 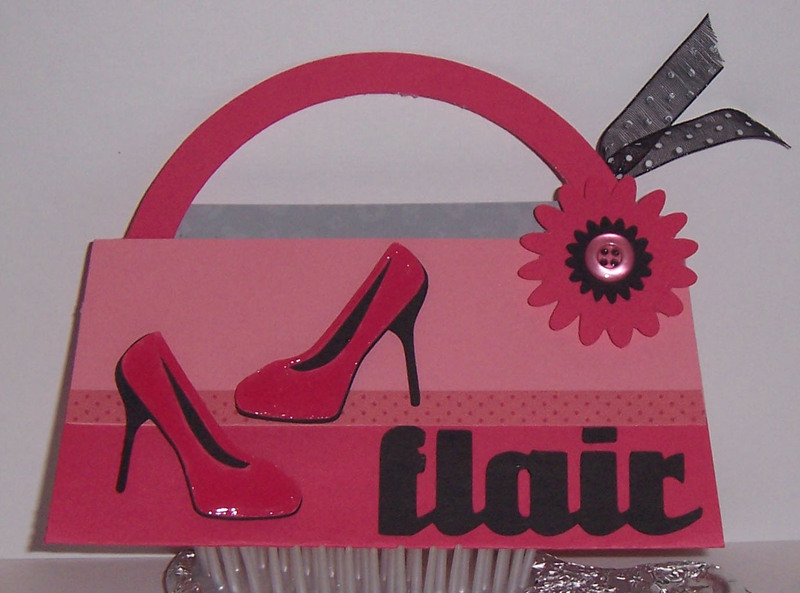 I decided to make a gift card holder from one of the purses in Forever Young. I added Diamond Glaze to the shoes for a shine. 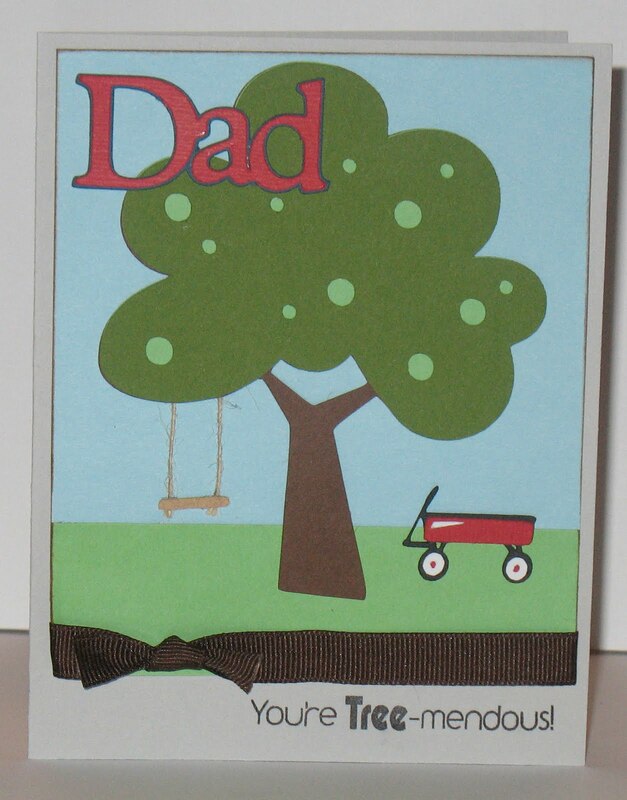 The grey part in the back is actually a gift card w/the ribbon attached to the corner. Challenge #9 is to use a shape - this card uses From My Kitchen for the jar and Just Because Cards for the pickles and quote.